Qred is a innovative Nordic fintech company, with a clear objective; to help as many small businesses as possible with financing. Today the company operates in Denmark, Finland and Sweden however there are plans for further expansions in Europe. Qred business loan has a fixed monthly payment plan which includes all costs, there are no other fees, rates or hidden costs. You only pay for each month that you are actually using the loan and a premature repayment of loan could be done at any time. Filling out a loan application takes about 60-120 seconds. 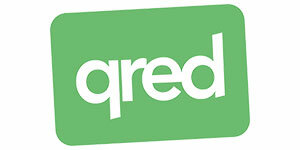 Once received, Qred will provide free personal service and present a loan offer online with obligation. There are som egeneral requirements set by Qred which will determine if your company is eligible for a loan or not. Qred are using modern technology systems and AI when checking and calculating business credit scores, using data from many different sources and collaborating with several credit reporting agencies such as UC and Creditsafe in Sweden and Bisnode in Finland.